Got a blog, know you have written some great content, but it still isn’t getting you the returns you had hoped for? Well, tough luck, but wait have you been marketing your blog? No, well then there you have it, the reason why it’s not working for you. In the online world, as in life, visibility counts; in fact it’s the foundation of success. If you have written what you think is an amazing blog post, it won’t get the readership it deserves, if its audience doesn’t know your blog exists. This is why you need to market your blog; the problem is that newbie bloggers who really have no clue about internet marketing, think promoting a blog is a really big deal, and requires loads of technical knowhow. Well, here’s the good news, you can market your blog without any difficulty whatsoever, and become a top hand at it, without any technical acumen involved. All it requires is to know the right strategies and making an honest effort at it. 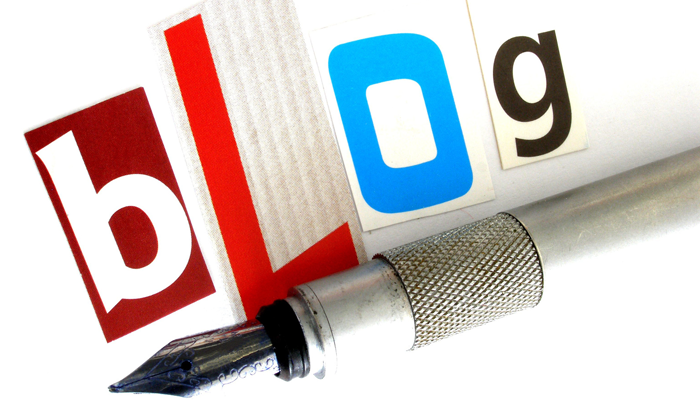 You got a blog, so why should you guest blog? The answer lies in blog promotion. The fact that you are publishing posts on authority blogs (choose only reputed blogs in your niche), means you have an opportunity to place your blog’s link in the author bio. This helps you market your blog on authority blogs that are read by a larger audience. Also, the fact that your post was worthy enough to be published on a high authority blog, improves your credibility and that of your blog as well. There is a lot of internet chatter happening on online forums. Target highly reputed forums that are a part of your niche by joining them and actively participating in the discussions. The best forums are those where your target audience is looking for specific solutions to their problems; these are also forums that act as sounding boards for new ideas. By making actionable contributions on these forums and mentioning your blog on them improves its visibility like nothing else can. Nothing and I mean nothing, beats social media when you are looking for a platform for viral marketing. Yes, to begin with, you need to write content that is something that your target audience wants; once that’s been done and dusted, share links with your fans and followers on Facebook, Twitter and LinkedIn. If you don’t have pages on these platforms, create them. Don’t just add everybody to your list of followers, add only those who you think will be interested in following your blog and sharing your content with their own fans and followers. Something else that you should also do, is make it easy for your blog posts to be shared by readers; this can be done by implementing social share buttons on your blog. Are you serious about your blog? Serious as in are you going to update your blog regularly? At the root of every successful blog marketing strategy is a blog that is updated regularly. It’s important to understand that visibility breeds visibility. So, if you are putting in place a series of events that are going to get more viewers to your blog, you must be able to give them what they need – Fresh content whenever then come to your blog. If you are looking to build a loyal following for your blog, you must make it a point to keep your blog updated. If you don’t, all your marketing efforts won’t be worth anything. I wrote a post about the ultimate guide to content marketing; you shall give it a read if you want to align your blog marketing strategy with your content marketing endeavors. It’s important to get a clear idea of what content marketing is all about because your blog is made up of content; this content needs readership and content marketing is all about getting your blog that readership. By integrating your blog marketing strategy with a well-planned content marketing strategy, you will reach even a wider audience. Think of your blog as a sum of many parts and all parts are made of pieces of content. Marketing each piece of content and promoting the whole blog, are two different things but the idea is the same – to improve blog credibility and also its traffic. I have seen plenty of bloggers not responding to the comments on their blog posts. That’s a huge mistake. I agree there are plenty of spammy comments that a well written post attracts, but there are some insightful comments as well. These comments have been posted by readers who have the potential to become loyal followers of your blog. Some of them might even act as niche influencers, who will ask their followers to read your blog. Make sure that your replies are as insightful as the comments. If you think you can add to the comment placed by a reader does that; if you think you can answer a doubt expressed in the comment, make sure you answer it. This helps improve blog credibility, which in turn helps improve its visibility. There are plenty of bloggers who actively market their blogs, but after a spell, they forget all about it. Marketing your blog is a permanent job and you need to keep at it till you want to make use of it. This is why it’s important to not get into the futile complexities of blog marketing and stick to the simple stuff. This ensures that you can market your blog effortlessly and therefore keep at it for the long term. These as can be imagined are not the only ways you can market your blog. Keep reading up on the new strategies and methods that will help improve the visibility of your blog. Use the ones that you think fall in line with your needs and requirements and discard the rest. Author Bio: Pratik Dholakiya is the Lead SEO & VP of Marketing at E2M Solutions, a full service internet marketing and SEO consulting company. He’s a serial guest blogger and so far has contributed in Search Engine Journal, SEOmoz, ProBlogger, SearchEnginePeople and many others. He also writes at E2M Solutions blog. You should follow him on Twitter @DholakiyaPratik. Every bit of what you just mentioned counts! Creating a blog & putting good quality content on it is a JOB in itself & it’s going to take work, therefore if you’re not going to do the things you mentioned above consistently you won’t earn the success you’re looking for. Thanks Toshiba for reading and outlining those points. Gives me more ideas for blogging. Guest Blogging and Regular Updates are must to keep readers engage more time on our blog with interest.Replying to the comments also makes the readers part of the blog network which will definitely help the blog in the long run. Thanks Phanindra for reading and outlining those points. Gives me more ideas for blogging. Nice Tips bro, i used to think Guest blogging is dead, as matt cutt claims, but any ways ama stay focus and keep my fingers crossed.